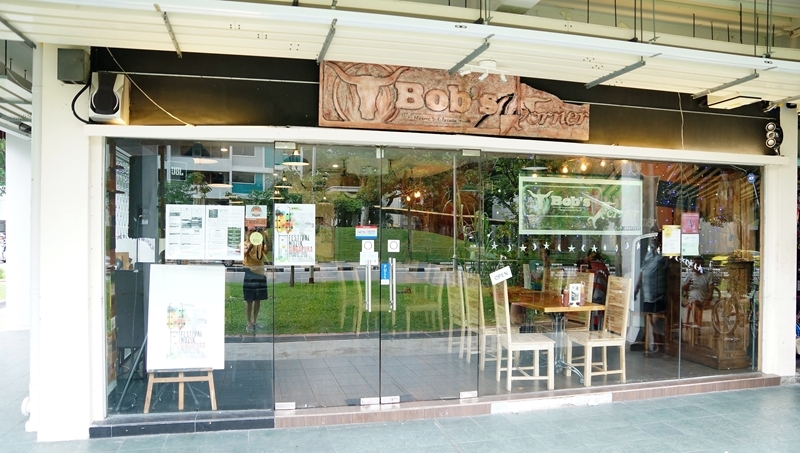 T Bob’s Corner is a Muslim-owned and managed cafe located at the corner of a HDB in a quiet neighbourhood in Bedok. 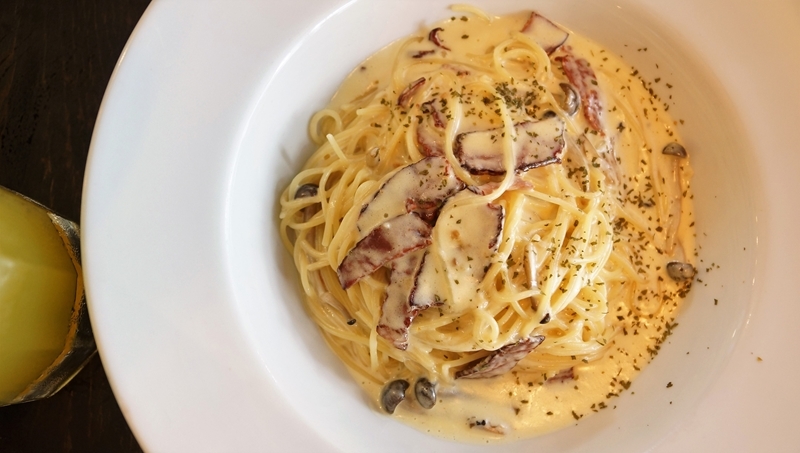 The cafe serves Asian and Western cuisines, the ambience is wooden-themed and rustic, providing a western countryside dining experience to the diners. 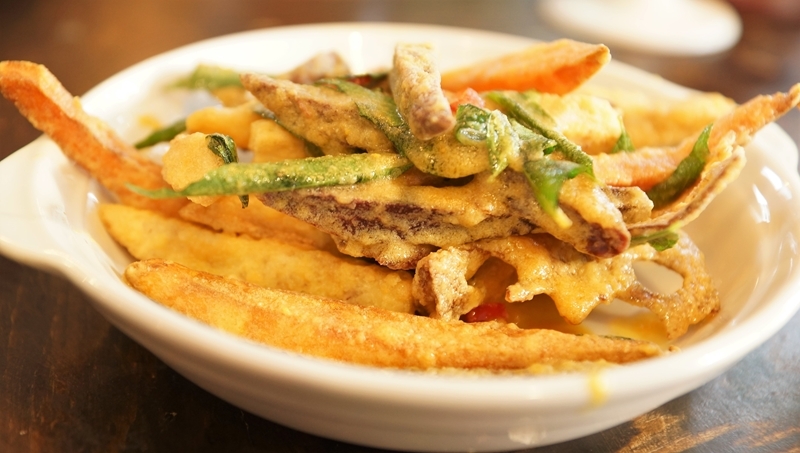 Crispy yam, sweet potatoes and lotus root tossed in home made salted egg sauce, with curry leaves and chili padi. A great starter with the aroma of the salted egg filling the air, a good snack food worth to order though the portion was a little pathetic for the price we paid. 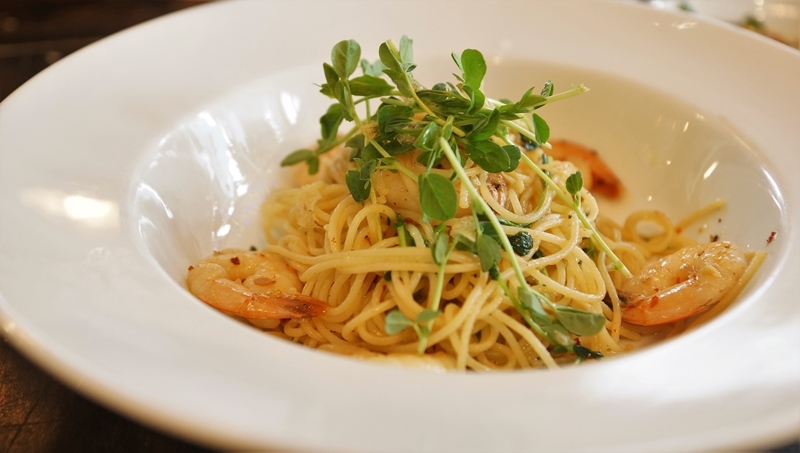 The pasta was cooked to an al dente texture and taste is generally acceptable, pasta was creamy and rich but could be more flavourful to bring up the cheesy aroma. Salmon was deep pan-fried and a bit overcooked, the fish was a tad dry. 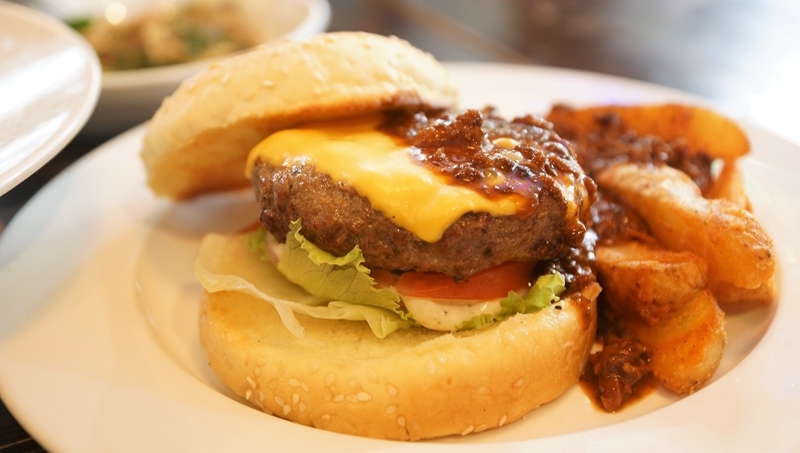 Handmade beef patty topped with melted cheddar cheese, and drenched in chilli beef gravy. Unfortunately the beef patty was not refined and lacked juiciness. A patty is the soul of the burger dish and when it fails, the whole burger is ruined. 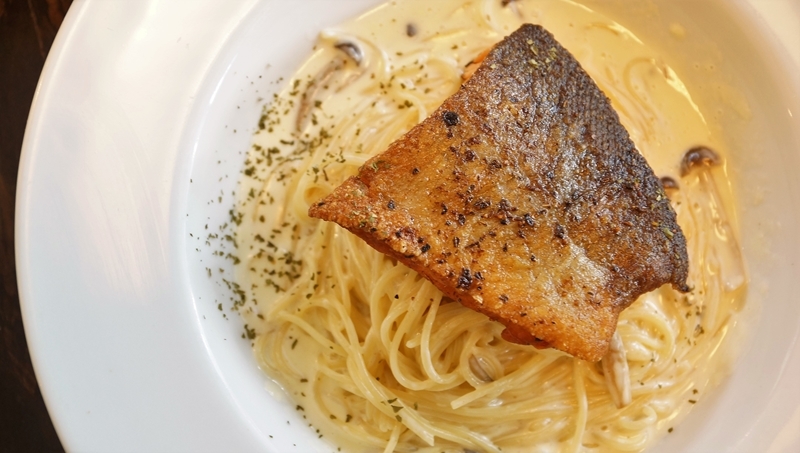 The creamy pasta is served with sliced chicken breast and mushroom, creamy and al dente pasta. The cheese flavour can be further enhanced to give a little more punch to the flavour. 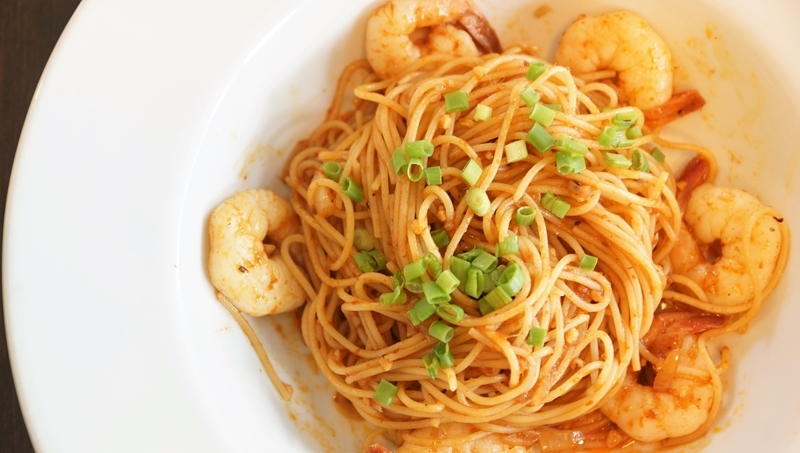 Homemade sambal pasta with prawns. Sambal was mild and good for those with lower tolerance for spice. However, for sambal lovers like us, we had to perk up the flavour with additional chili flakes. Again, it lacked the garlicky and spice flavour, and the seasoning has plenty of room to improve. The seasoning was superficial and not able to permeate into the wing. 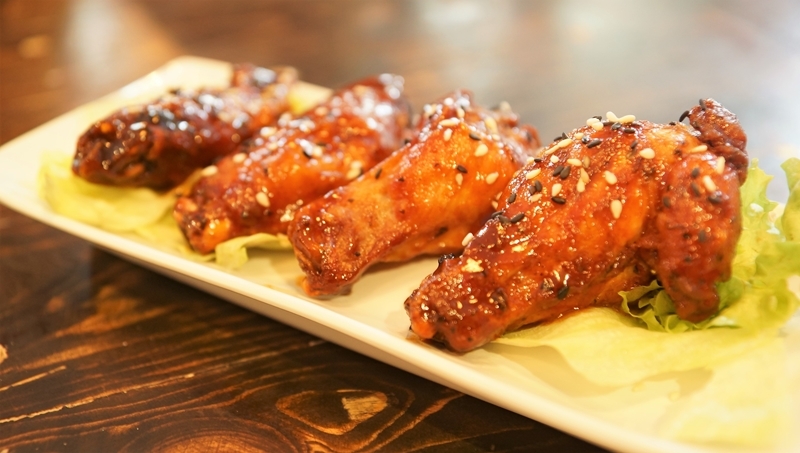 The BBQ sauce doused over the wings were a tad too sweet that was not up our alley, since we prefer wings that are savoury. The food quality is generally acceptable but will not excite your palate. Seasoning was on the mild side and the portions served compared to the price charged may render T Bob’s Corner pricey for a neighbourhood cafe.